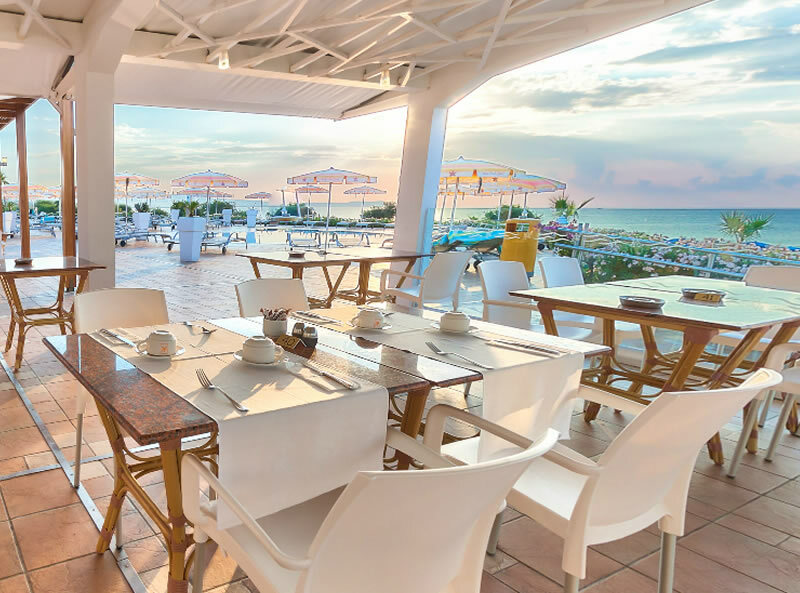 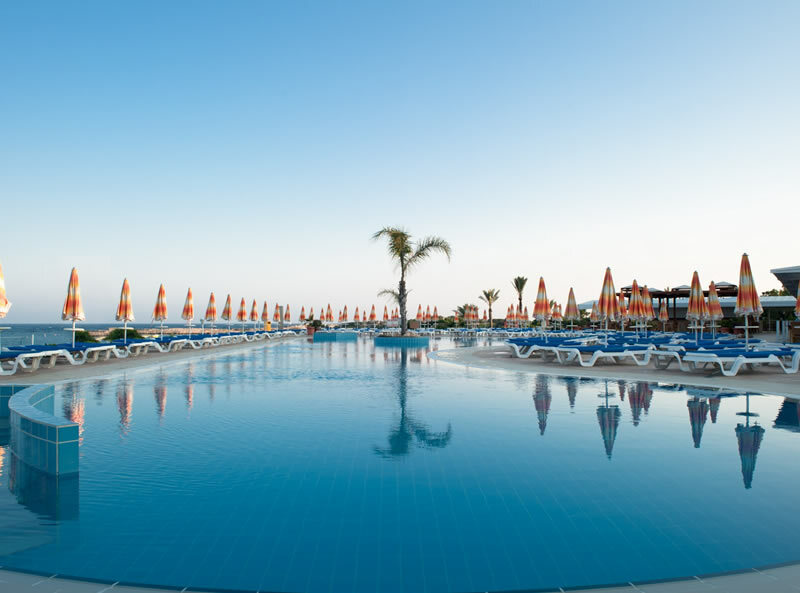 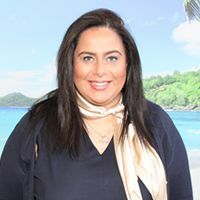 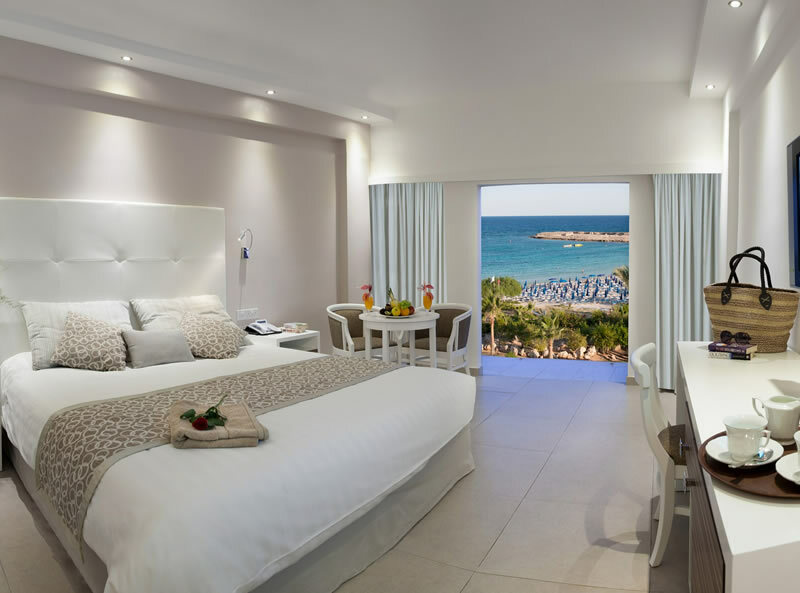 The Asterias Beach Hotel is a very highly rated family friendly, All Inclusive hotel with a fantastic location on the shore of the Blue Flag sandy beach of Makronissos Beach. 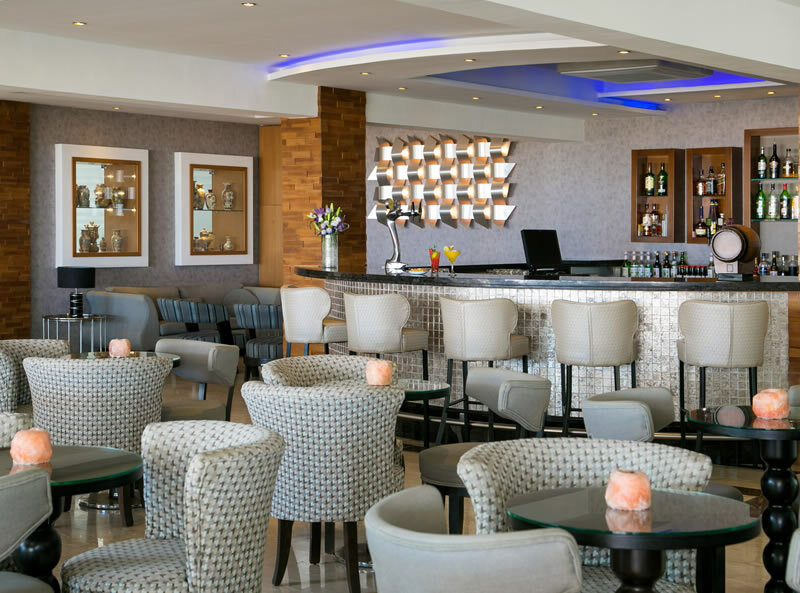 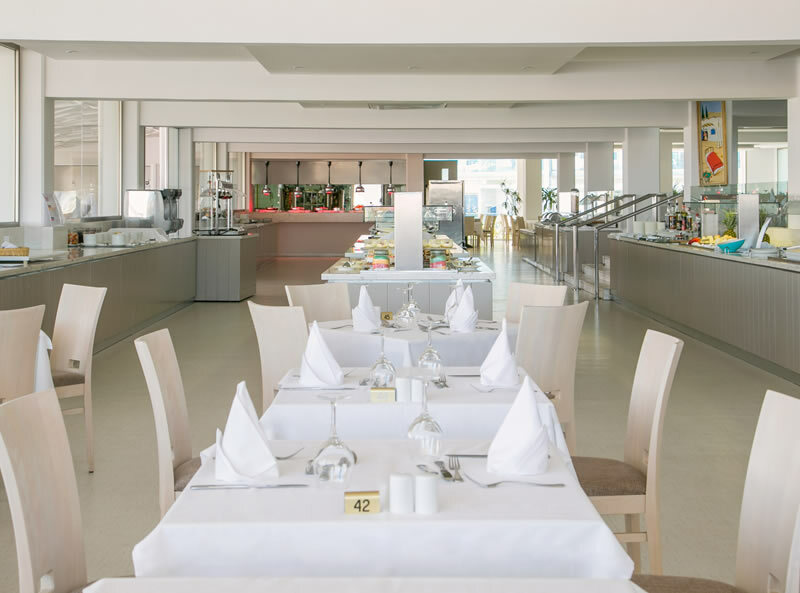 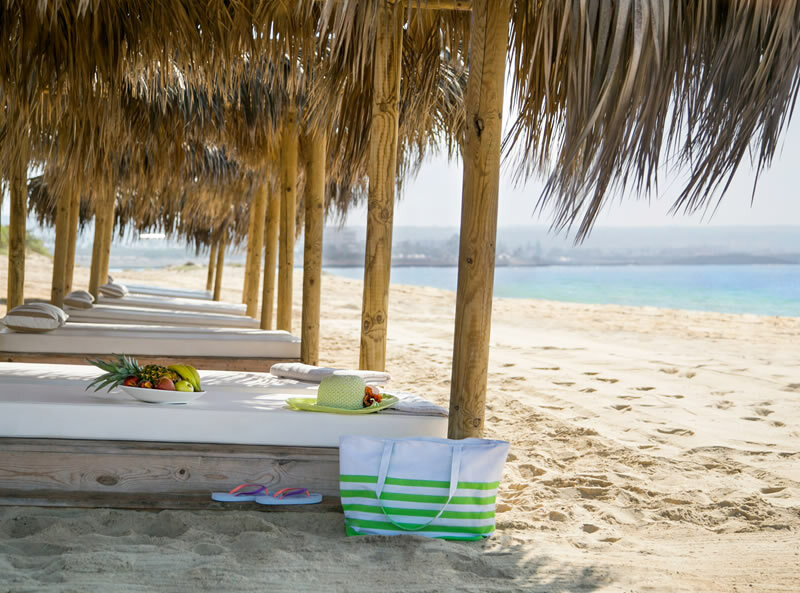 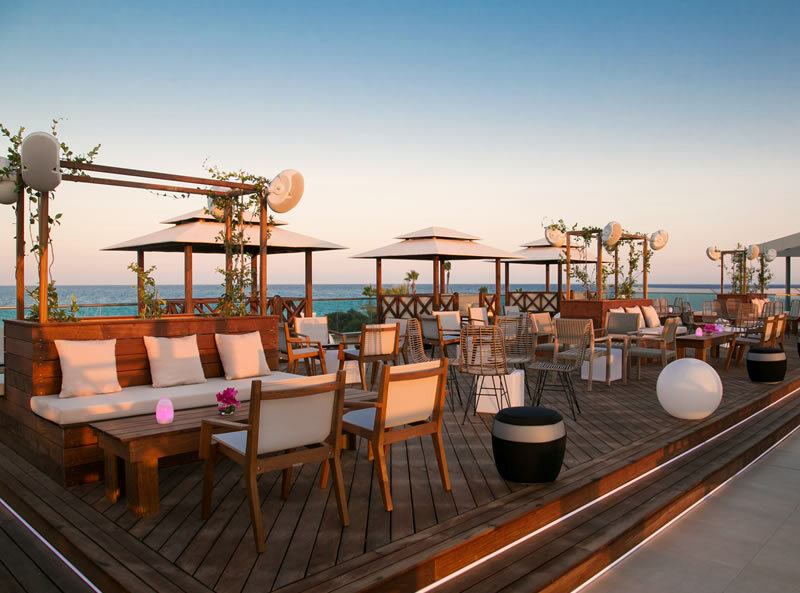 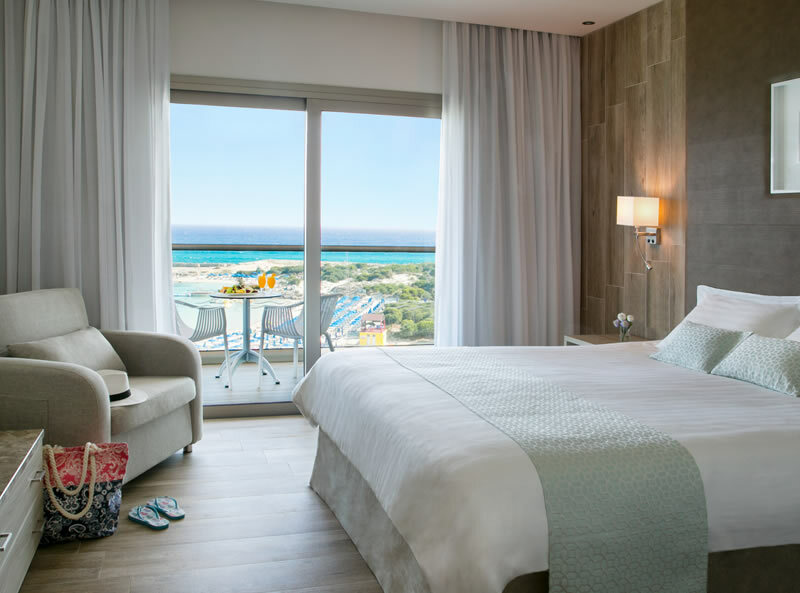 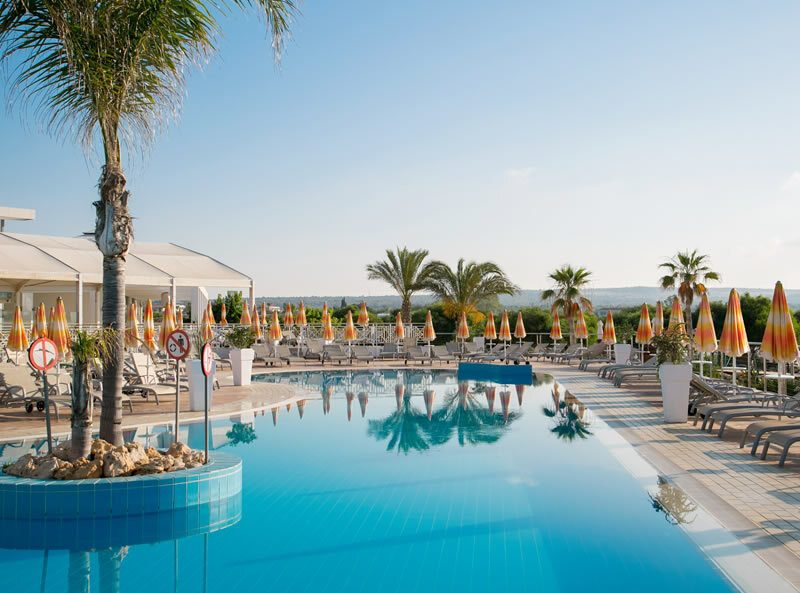 The hotel finds itself in a quieter part of Ayia Napa, so guests can enjoy the hotel and stunning beach in relative peace, but also enjoy the liveliness of Ayia Napa with just a 5 minute cab journey. 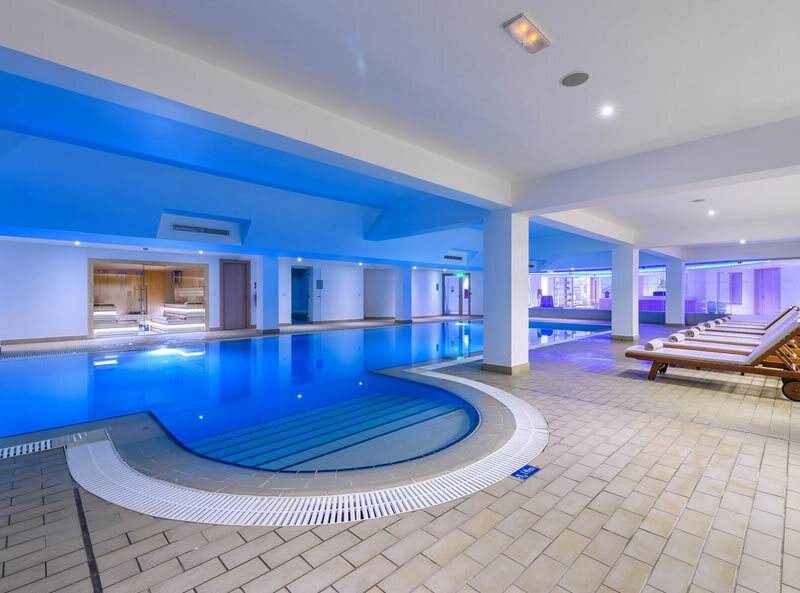 There a plenty of facilities for guests to enjoy including an outdoor pool, a modern wellness centre and a supervised kids club. 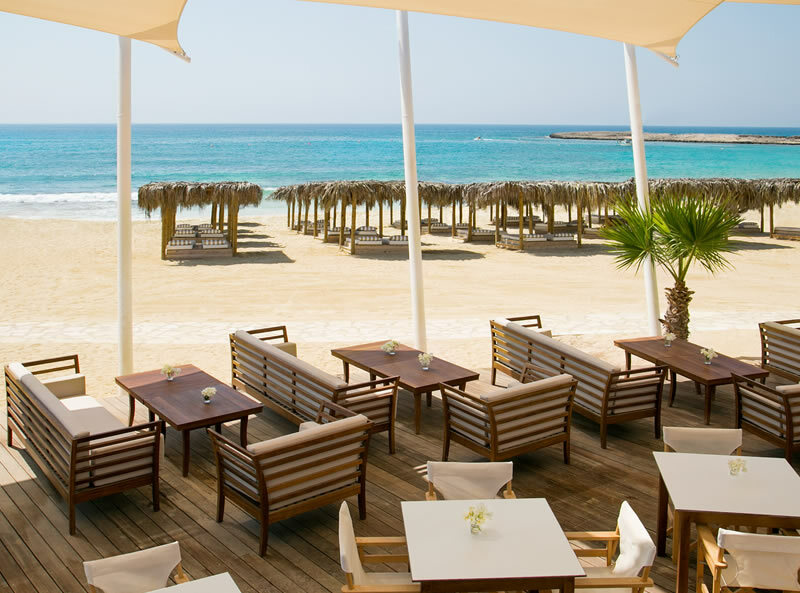 There is a choice of 4 restaurants and 5 bars for guests to make the most of their fantastic value for money All Inclusive package. 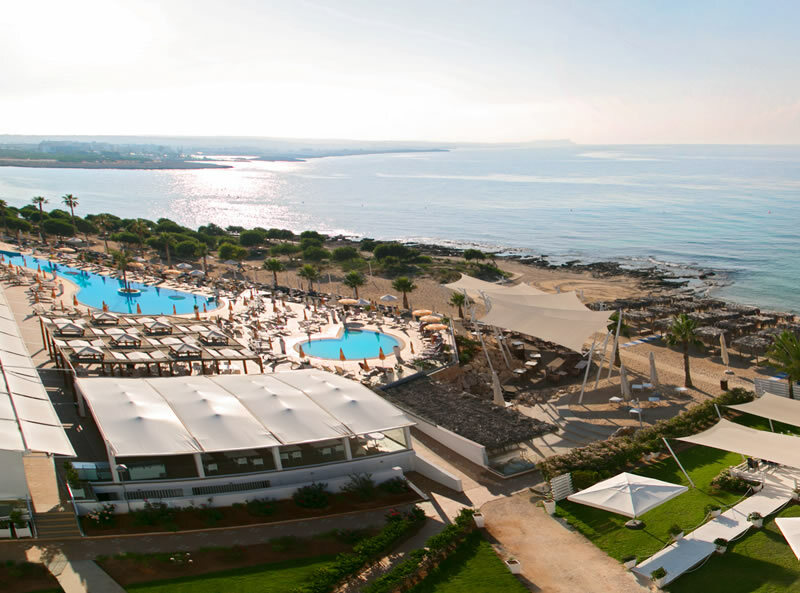 The Asterias Beach Hotel is ideal for guests wanting to enjoy the gorgeous beaches of Ayia Napa with easy access to the town. 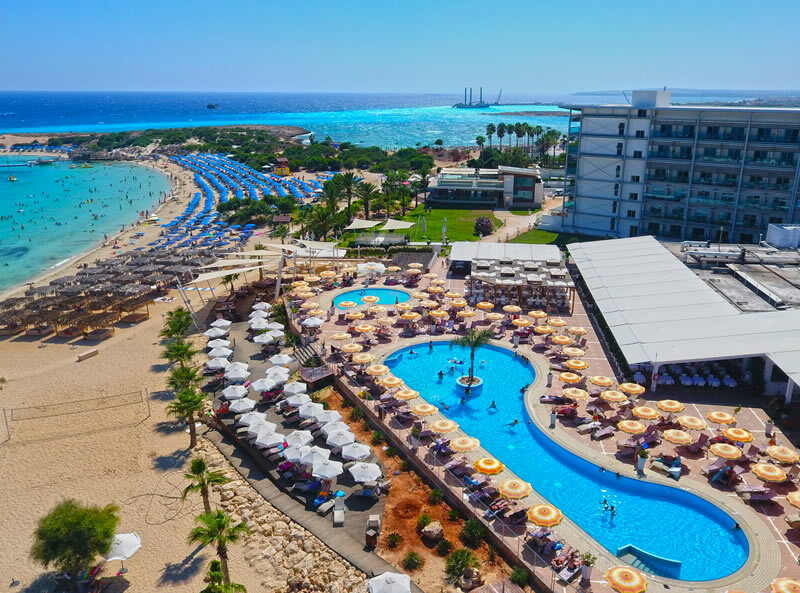 There are 288 rooms at this hotel, with new Swim-up rooms and Junior Suites as of Summer 2018. 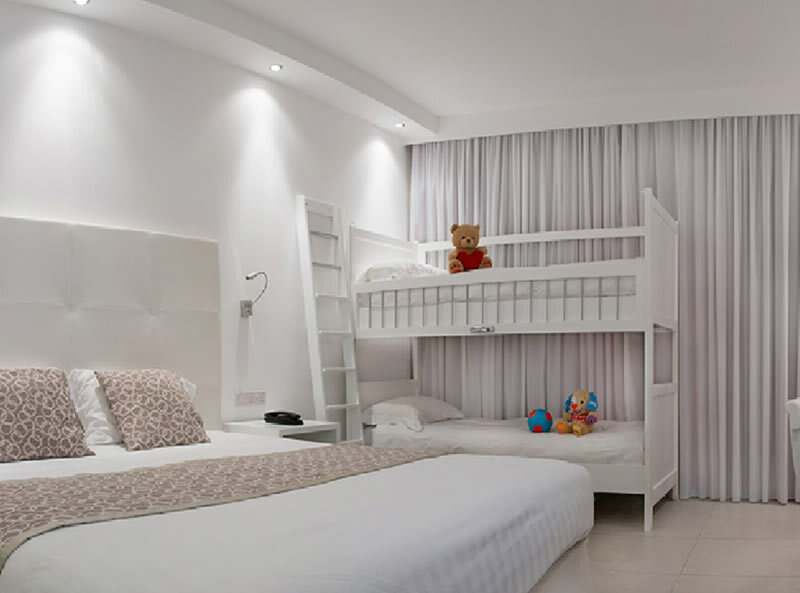 Rooms are modern and feature a balcony or terrace, FREE WiFi, air conditioning (May-Oct), flat screen TV and hair-dryer.